Want to win $100 in Co-op Cash? Take our shopper survey! Give us your opinions and 20 minutes of your time, and we’ll give you a chance to win one of three $100 Co-op Cash gift certificates! It’s hard to believe, but 2018 marks our 5th year in business. 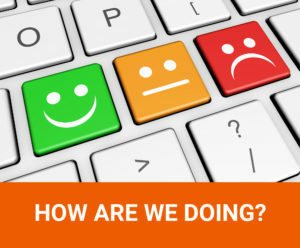 Now that we’ve reached this milestone, we want to know what you think: What are we doing well? How can we improve? We’re conducting our first shopper survey since the store opened because we want (and need) your feedback. We’ll use your answers to guide our operations and strategic planning for the coming years. We’ll ask about your shopping patterns and your satisfaction with the co-op. There’s also a section specifically for Owners and a series of demographic questions that are entirely voluntary. Most questions have space for your comments, too. We value everyone’s input, so this survey is open to all shoppers. Click here to take our shopper survey. The survey will be open through February 18th.